If you’re talking about bourbon and you’re not talking about Louisville, you may as well go home because you’re missing the point. Michael Veach, Bourbon Hall of Famer and the official Bourbon Historian of Louisville, Kentucky’s Filson Historical Society, has stated many times that Louisville is the center of the bourbon universe. Living in Louisville has afforded me the advantage of learning all about bourbon from Veach and many others in the bourbon community. I’ve learned about the origins of bourbon and how it relates to the history of Louisville, and I’m here to tell you Louisville is the definitive center of the bourbon universe. Louisville is steeped in bourbon history. We have places like Whiskey Row and Distillery Commons as our local landmarks. Our streets are names after long gone distilleries, as in the case of Mellwood Avenue, named after the Mellwood Distillery. We have the only high school named after a bourbon distiller, Atherton High School. 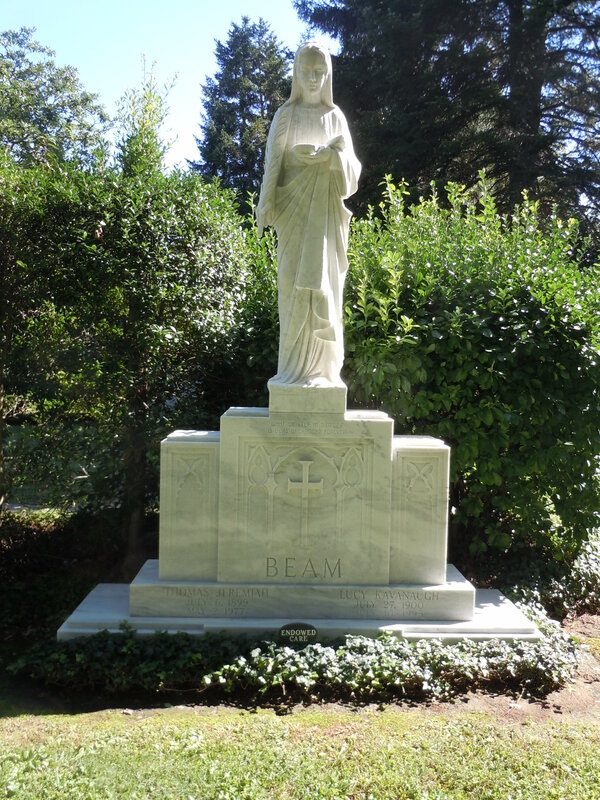 Even our beautiful historic cemetery, Cave Hill, is the final resting place of generations of Browns, Wellers, Stitzels, Beams, and Van Winkles, just to name a few. We invented bourbon. Kentuckians needed a way to preserve their crops for transport, either down the river or over the mountains. Grains were brewed, distilled, and then shipped, first in earthenware jugs and later in charred oak barrels. Evan Williams, the namesake for a very popular bourbon produced today, was Louisville’s wharf master and Kentucky’s first commercial distiller according to the legend. Williams founded his distillery in 1783, though the bourbon he produced wasn’t called Evan Williams. 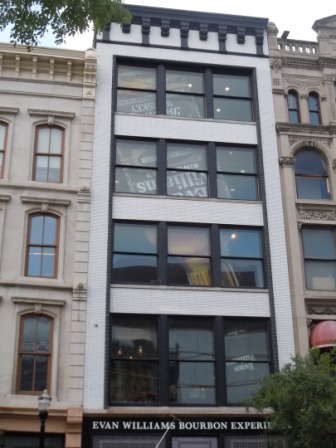 Today there is an Evan Williams distillery and visitor’s center in downtown Louisville on Main Street where visitors can learn about Louisville’s bourbon heritage. Louisvillian George Garvin Brown, founder of what today is called Brown-Forman, was the first bourbon producer to sell bourbon packaged in a bottle only. Before that bourbon was primarily sold by the barrel and you would have to take your jug to the tavern and fill it up. Old Forester was the first exclusively consumer packaged bourbon, packaged that way in response to a doctor named Forrester’s request for a consistent medicinal product he could prescribe to patients. Louisville is the historical home to every industry you need to make bourbon. Vendome Copper Works was founded in Louisville in the early 1900s, primarily producing brewing and distilling equipment. They survived Prohibition, The Great Flood of 1937, and World War II, continuing to innovate and expand to other industries. Today Vendome Copper Works is still a Louisville-based family business and is the industry leader in copper stills for bourbon production. Their stills are so highly sought-after that the waiting period for a small craft still is several months long. Every Vendome Copper still is hand made to order in Louisville, Kentucky. The patented rick system used to store barrels in rick houses was invented at Stitzel-Weller in Shively, Kentucky, a suburb of Louisville, by Frederick Stitzel. It is still in use today, and the patent paperwork and original drawings are on file at The Filson Historical Society. Julian P. Van Winkle, known to his family as Pappy, is the name on some of the most sought-after bottles of bourbon in the world. Long before Pappy’s bourbon was a blip on the radar, his office was at Stitzel-Weller for decades. People are so desperate to get their hands on his namesake that there was a Pappy Heist in the fall of 2013. Thieves made off with 222 bottles of various vintages, and it still has not been recovered. Louisville’s Filson Bourbon Academy provides the best in bourbon education across the United States. Bourbon historian Michael Veach is a Kentucky Bourbon Festival Hall of Famer, as well as the author of Kentucky Bourbon Whiskey: An American Heritage. He travels the United States educating people about bourbon’s rich and unique history. 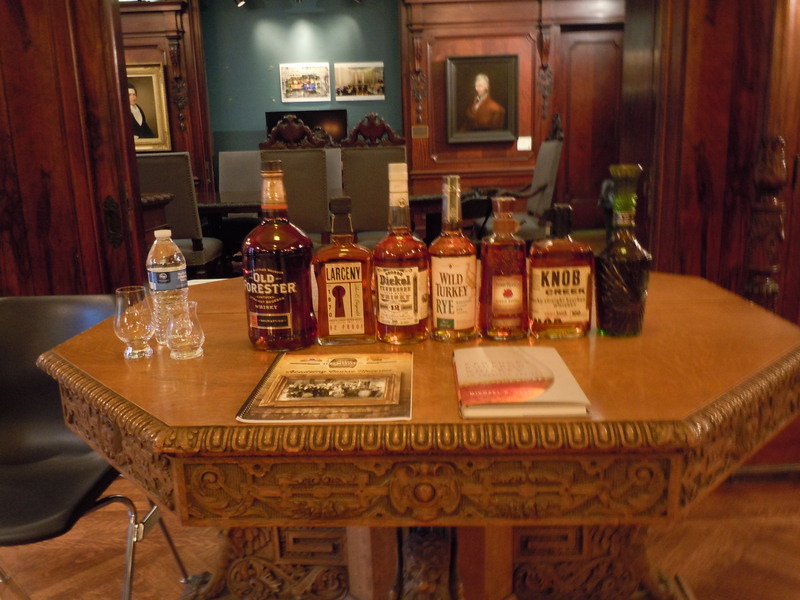 While The Filson Bourbon Academy is the benchmark for bourbon education across the United States, Louisville has many other prominent institutions that provide excellent bourbon education. There are multiple opportunities to learn about bourbon across Louisville every single day. We also have some of the best bourbon writers in the world. 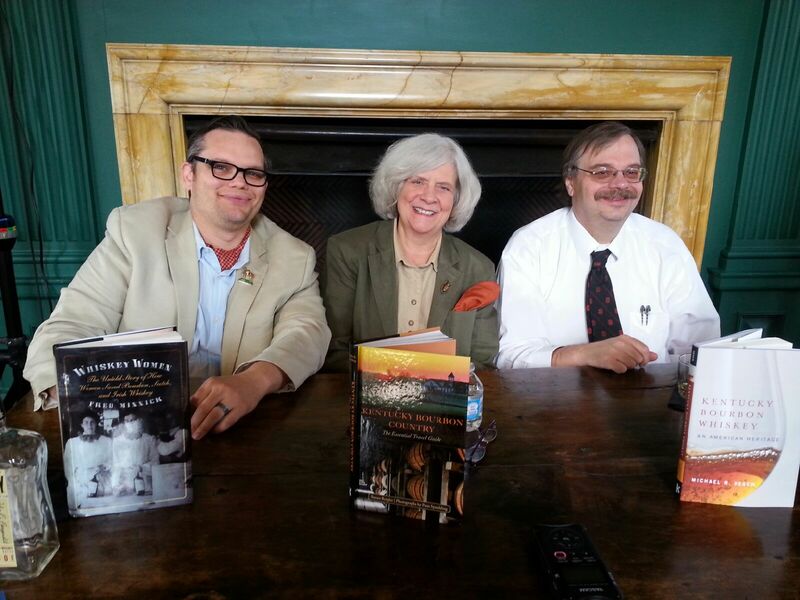 In addition to Michael Veach, Fred Minnick, author of Whiskey Women: The Untold Story of How Women Saved Bourbon, Scotch, and Irish Whiskey lives here and is the Bourbon Authority at The Kentucky Derby Museum. Other notable writers include Bernie Lubbers, author of Bourbon Whiskey – Our Native Spirit, and Susan Reigler, author of Kentucky Bourbon Country: The Essential Travel Guide. Louisville is the starting point for the Kentucky Bourbon Trail and home to the Urban Bourbon Trail. There were once more than 50 distilleries in Louisville, though most of the historic ones haven’t made it through the ups and downs of the bourbon business. 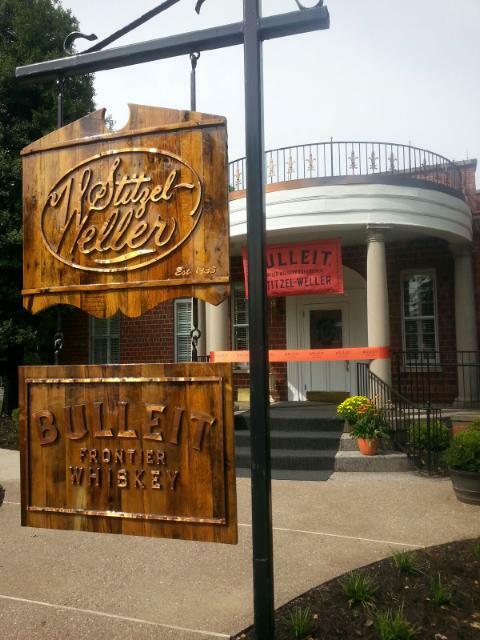 The recent boom has provided incentive for many bourbon distilleries to build new downtown distilleries and visitor’s centers. The Evan Williams Bourbon Experience was the first of these new distilleries to open up. It will soon be joined by Michter’s, Angel’s Envy, Kentucky Peerless, and Old Forester. The Urban Bourbon Trail includes dozens of bars and restaurants, each of which must have a minimum of 50 bourbons, though some have as many as 170. Among the Urban Bourbon Trail members are The Silver Dollar, Bourbons Bistro, The Village Anchor, and my personal favorite Haymarket Whiskey Bar. If you’re looking for a place to study bourbon’s many facets, look no further than Louisville, Kentucky. We do it all, and we do it with bourbon. Cheers! A version of this post first appeared in The Carouser Magazine’s Bourbon Issue. You can read an extract here and you can buy a copy here.